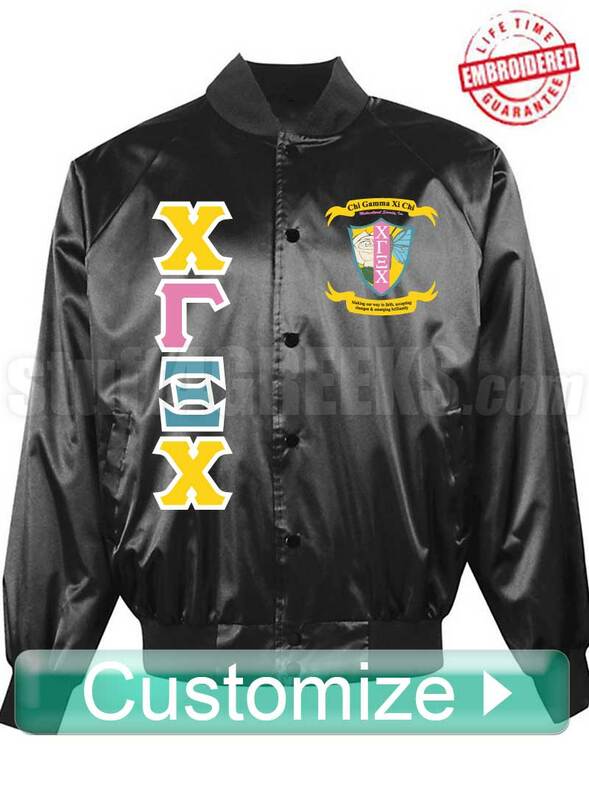 Black Chi Gamma Xi Chi satin baseball jacket with the Greek letters down the right and the crest on the left breast. Don't like this satin baseball jacket? Looking for something different? Click here to make your own custom Greek baseball jacket.